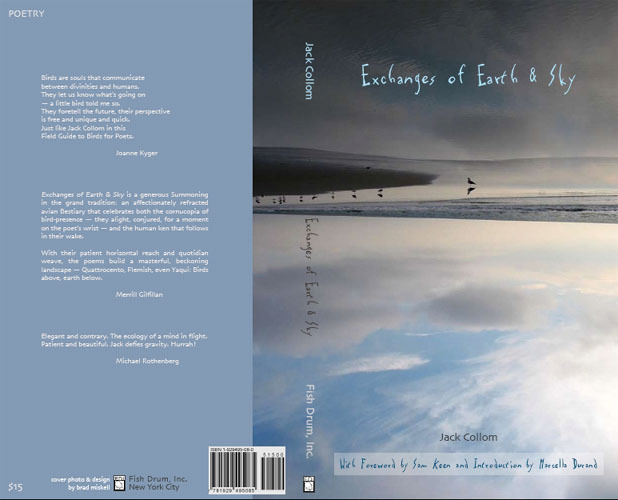 Exchanges of Earth & Sky is poet Jack Collom's collage-rich paean to birds in all their experimental flights. You have to be alert as to what's earth and what's sky. This is Collom's 21st book of poetry, all published by small presses. He lives in Boulder and teaches at Naropa University. He has twice been awarded a National Endowment for the Arts Fellowship. "[Birds] foretell the future, their perspective is free and unique and quick. Just like Jack Collom in this Field Guide to Birds for Poets." ---Joanne Kyger.